When former Portland Trail Blazer LaMarcus Aldridge announced his intentions to sign with the San Antonio Spurs on Saturday, it completely shifted the balance of power out West: Portland, which won 51 and 54 games the past two years, is suddenly without their franchise cornerstone and will likely head into rebuilding mode (read: last-place). Meanwhile, San Antonio now becomes a heavy favorite to win their sixth title in the Tim Duncan-Gregg Popovich era. Whenever a former MVP changes location, it’s major news. When James, then just 25 but already with a pair of MVPs under his belt, announced he was taking his talents to South Beach it instantly made the Heat contenders. Miami won the Eastern Conference all four years with James on board, including a pair of titles in 2012 and 2013. Meanwhile, the Cavaliers sank to the bottom of the league, winning the draft lottery three times in four years. Then when James returned home in 2014, the Cavs became contenders again, making it all the way to the NBA Finals, while Miami missed out on the playoffs. He is clearly the biggest difference-maker in the NBA. When the Lakers convinced Shaq to leave Orlando and take their seven-year, $121 million offer, it changed the fortunes of both franchises. The Lakers instantly became contenders, eventually winning three straight championships in 2000, 2001, and 2002. Meanwhile, Orlando went from a major power in the East to a fringe playoff team. Nash wasn’t seen as a difference-maker like Shaq or James was when he switched teams in 2004. But the Suns and head coach Mike D’Antonio had a plan to use him to push the pace and it worked to perfection. Phoenix went from 29–53 in 2003-04 to 62–20 in 2004-05 with Nash at the helm and they would stay as one of the better teams in a loaded West through 2010. Tim Duncan Returning to Spurs for Another Season: Will LaMarcus Aldridge Join Him? Mutombo’s defection to Atlanta wasn’t completely unexpected as the Nuggets went just 35–47 in the 1994-95 season—his final year in Denver. With Atlanta, the Hawks went from a 46-win team in 1995 to 56–26, 50–32, and then 31–19 in the strike-shortened season of 1999. Mutombo won the Defensive Player of the Year award in each of his first two seasons with the Hawks as head coach Lenny Wilkens molded the team into a contender. Were it not for Michael Jordan and the Bulls, perhaps the Hawks would have won the East one of those years. 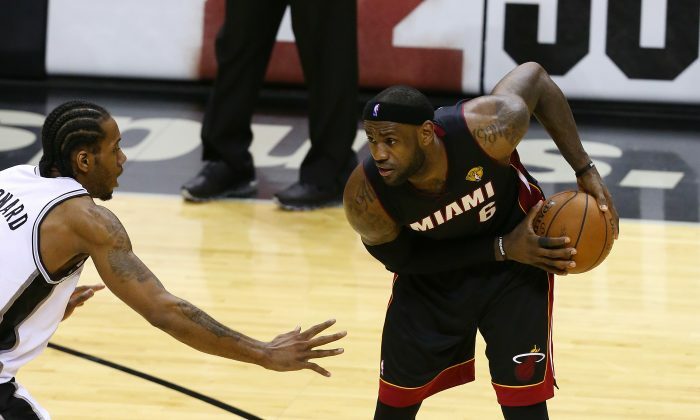 Although LeBron James was the main attraction in the 2010 free agency class, Chris Bosh was right behind him. When they both committed to joining the Heat that summer, along with Dwyane Wade, the trio became the envy of the rest of the NBA. Bosh was a major factor in keeping the lane open for slashers James and Wade though, as opposing centers, they had to respect his outside shot. Bosh elected to stay with Miami last summer, but the Heat suffered without him down the stretch and fell out of the playoffs. A healthy Bosh figures to be a major part of a re-loaded Heat team in 2016. The Cavs gave up a lot, including future star Andrew Wiggins, in the trade for Kevin Love last summer. Here's how his re-signing validates the deal. Tim Duncan is returning for a 19th season in San Antonio. Will it be enough to convince free agent LaMarcus Aldridge to join him? The Lakers used to be able to snap their fingers to attract All-Star players to town. Why they couldn't this offseason.